Parents have an obligation and a duty to provide for their children. This is true whether you are a single parent or one going through a divorce. Getting a Florida child support order may seem like a time consuming and complex process, but we can help make it easier. The fact is it is the only way to ensure your child is protected and gets the support they are owed. Raising a child today is expensive and costs tend to increase the older they get. 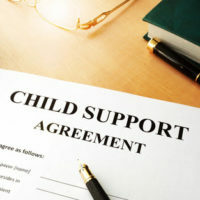 If you are a single parent or divorced and struggling to make it on your income alone, getting child support can help to ensure your child’s needs are met. It ensures you get the maximum amount you are entitled to. When making agreements with a non-custodial parent, it is not uncommon for you or them to underestimate the amount owed. Court ordered support is based on guidelines provided under the Florida Statutes and will factor in both parent’s income, along with any special needs the child has. It protects you in the event the other parent stops paying. There are numerous reasons people fall behind in child support. They may have lost a job or suffered a reduction in hours, or remarried and are struggling to deal with additional costs or expenses. In some cases, it may stem from arguments between you and your former partner, or sadly, your child’s financial security may eventually fail to be a priority to them. In these and other types of situations, a court order ensures child support is paid and that the other parent is liable for any past due amounts owed. It provides you with a means of enforcement. Once a child support order is in place, it can be enforced through the courts in the event of non-payment. The Florida Department of Revenue goes after parents who fail to comply with court ordered child support and may take actions such as garnishing their wages or seizing tax refunds or funds in bank accounts. If they continue to not pay, they could face arrest and penalties such as driver’s license suspension. Court ordered child support protects you in Florida and in the event the other parent moves out of state or even out of the country. In the case of single parents, it also ensures the other parent’s name is listed on the birth certificate and that your child gets any other benefits, such as those through Social Security or Veterans Affairs, that they might be entitled to. At the office of attorney Vanessa L. Prieto, we offer caring, professional legal representation to guide you through the process of establishing a child support order. Reach out and contact our Fort Lauderdale child support attorney today and request a consultation.